Remember how we watched the “What door?” scene in Westworld and started uncontrollably screaming? HBO has just dropped the first trailer for Season 2 of the sci-fi series, and we’re once again screaming, but this time for completely different reasons. Season 1 ended with the big reveal that yes, we are in two different timelines. And yes, William is the sweet, kind William with Dolores who grows up to be the pretty awful Man in Black. What happens to him between then and now to turn him this way? Is Dolores actually becoming self-aware, considering the season finale ended with her shooting everyone at Robert Ford’s gala, including Ford. On top of that, is Maeve becoming self-aware? Because she manages to escape the park and then seems to turn back on her own accord to go and rescue her daughter. 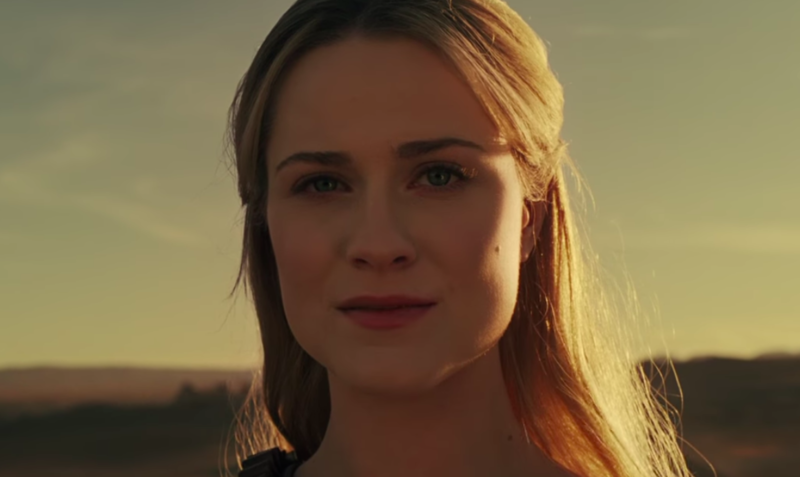 So many questions, so few answers in the Westworld Season 2 trailer, but it does give us a good look at what we can expect when the show picks up again — long, gorgeous shots of the “fake” world our robots live in, along with the chaos of the behind-the-scenes operations of the park, which last we saw was in bloody shambles. Unfortunately, the trailer does not show us any signs of Ashley — played by the third Hemsworth brother, Luke — and it’s time to remind the HBO show that they’ve snagged themselves a Hemsworth, and they really need to start using him more. Just saying! Westworld returns for Season 2 on April 22nd.